When meteorites from space are found on earth, scientists can usually determine where they came from based on information about the geology of the other terrestrial planets. An example in recent years is the meteorite NWA7034, found in the Sahara Desert in 2011. 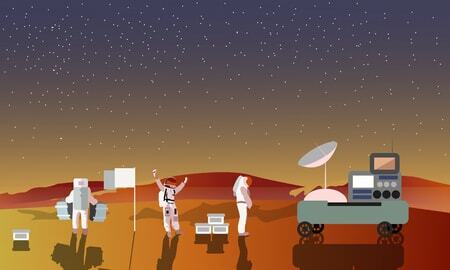 NASA scientists not only classified it as having originated on Mars, they theorize it is more than two billion years old and contains more water than other “younger” meteorites known to have come from the red planet.